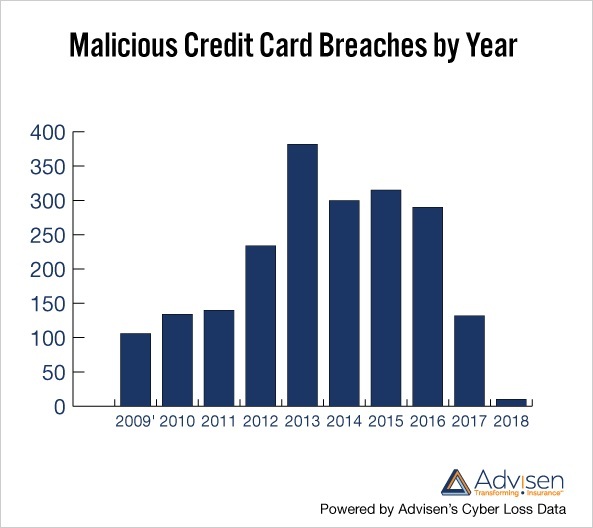 Advisen Data Spotlight: The credit card breach is back, baby! (Or is it?) - Advisen Ltd.Advisen Data Spotlight: The credit card breach is back, baby! (Or is it?) - Advisen Ltd. In recent years, there have been no shortage of cyber-related headlines. The emergence of ransomware, concerns over the systemic impact of cyber attacks, and various other emerging risks have monopolized much of the conversation around cyber risk. But a flurry of recent high-profile credit card breaches begged the question as to whether cyber risk has come full circle. Is the credit card breach back? Have credit card breaches ever really gone away? 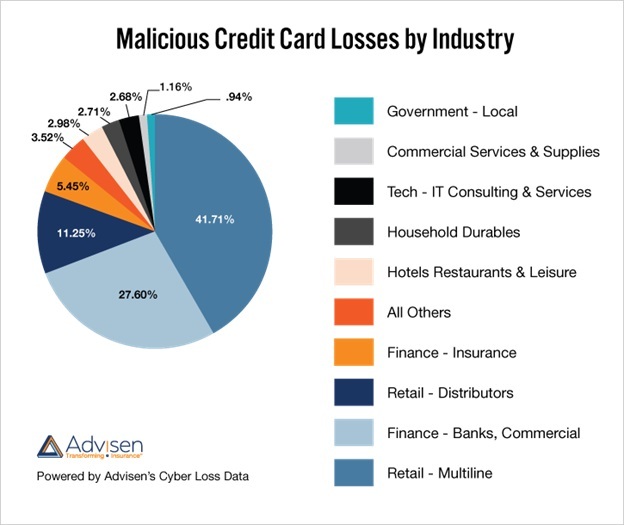 To get a better understanding of trends surrounding credit card breaches that occurred with malicious intent, Advisen tapped into its cyber loss database in search of answers. While the credit card breach may not receive the same media attention as other emerging cyber risks, it remains a significant threat. Although there has been a general downward trend from the peak year of 2013, the number of breaches in subsequent years has remained significantly higher than the years leading up to the 2013 peak. It is important to note that while 2017 is showing a significant decline from 2016, this may change over time as Advisen continues to load events into the database. 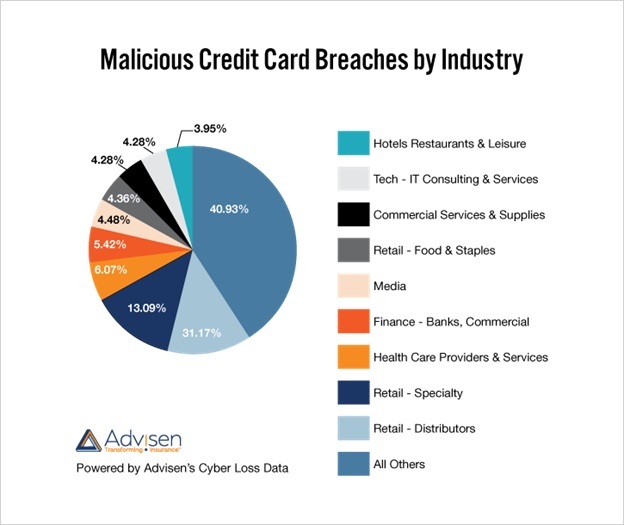 Historically, the retail industry is the highest risk industry for malicious credit card breaches according to Advisen data. This is the case both in terms of the percentage of total events that occurred, and the percentage of total losses. Josh is an Editor at Advisen in the Research & Editorial division. He is the lead editor responsible for several of Advisen’s Front Page News editions and he also originates custom research on behalf of Advisen’s largest insurance company clients. Contact Josh at jbradford@advisen.com.